We all consume news and updates on multiple channels — websites, email, text, social, and more. And of these, Facebook commands one of the largest audiences in the U.S. More than 220 million Americans, or 68% of the population, read and share news, talk with friends and family and stay up to date on Facebook’s family of apps — WhatsApp, Messenger, Instagram and more. 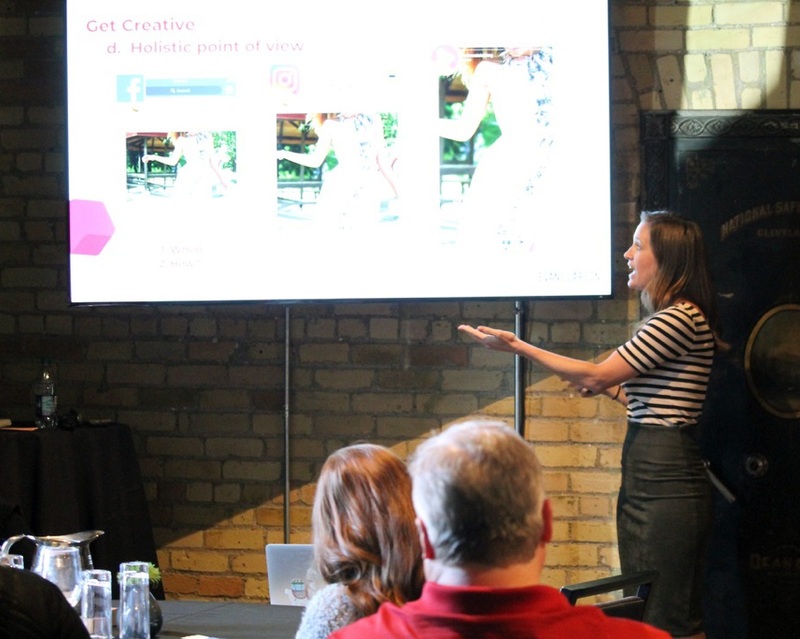 Evans Larson and Facebook recently hosted a private business forum that shared best practices. Insider tips included how to leverage apps to drive business goals, recruit talent, increase brand awareness, maximize purchase opportunities, support community relations efforts, and more. The audience also learned how to distill ‘vanity’ metrics from critical data. Critical data helps increase ROI benchmarking and can propel company business goals and outpace the competition. While the Evans Larson/Facebook forum touched on many things, here are four starter tips. 1. Thoughtful targeting. Today, most Americans are on three to eight social channels. They all offer different experiences and expectations, so it’s important to understand the nuances of targeting on each one. Boosting is a good introduction to reaching audiences; however companies should be utilizing the advantages that targeting provides. Facebook’s tools, paired with the right multi-channel data and strategies, offer powerful ways to reach key stakeholders. 2. Creative is king. We have less than three seconds to engage with audiences on social media. This means social creative must present an authentic, relatable experiences that make an immediate connection. Video is expected to take up 70% of social consumption — the good news is that creating quick videos is easier than ever, thanks to programs like iMovie, which can be accessed from the comfort of your smartphone. 3. Multi-channel strategies. Gone are the days of waiting for media to tell a story. Today, companies own and control their platforms and messages. Knowing when, where, why and how stakeholders interact on channels offers insights on creating cohesive, customer-centric multi-channel campaigns. Here are some channels to consider for your marketing: websites/microsites, email, Facebook, Instagram, YouTube, traditional media relations, Twitter, and SVOD (subscription video on demand — like Hulu). 4. Measure, analyze, adjust, repeat. It’s important to benchmark the effectiveness of all channels. There are many software tools that provide analysis for B2B and B2C customer journeys; the trick is knowing what to pay attention to. For example, impressions are a vanity metric; it’s a big number that feels good, but doesn’t reveal meaningful information. To ensure meaningful data is being analyzed, we utilize our proprietary Data Sharing Grid that reports critical information based on relevant, real-life behaviors. These results inform overall strategies. Some of the Facebook data we study informs creating custom audiences and enhancing conversions for e-commerce and recruiting. Leverage media coverage. Take that amazing article and target audiences with a smart social campaign. For example, we landed a client on the cover of a well-respected trade publication. From there, we used the success to create a B2B Facebook campaign targeted to specific C-suite industry executives. The result generated new business opportunities and conversations. Thank you to everyone who attended our Evans Larson/Facebook forum. The feedback has been tremendous. Looking ahead, we hope that everyone will ‘crush reporting silos’ to create marketing successes.